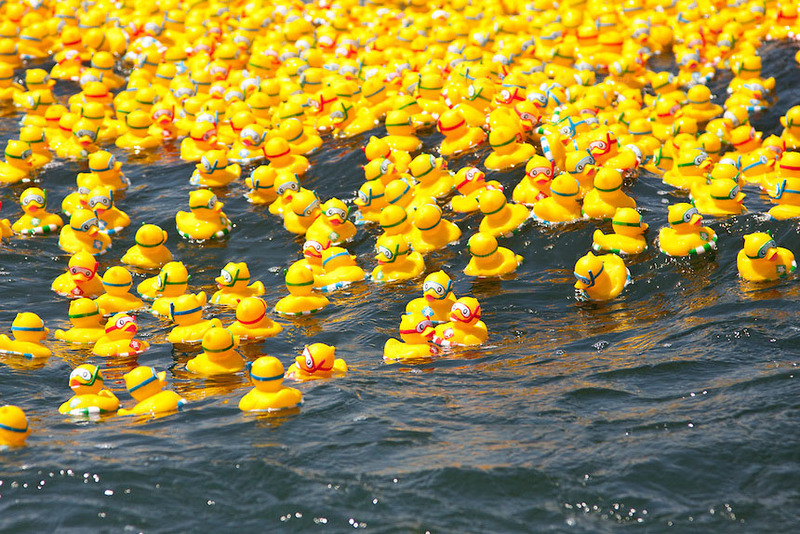 Some lucky duck will win $10,000 June 30 at Boys & Girls Clubs of North Central Georgia’s Duck Derby event in Porterdale. Shortly after 7:30 PM June 30 the first rubber ducky to cross the finish line around the bend of Porterdale’s Yellow River will be named the winner. For every $20 duck you adopt, participants not only increase your odds of winning the $10,000 grand prize, they also help continue the world class programs that BGCNCG offers over 1,500 youth in North Central Georgia. The event will have plenty of family fun, live music, cold drinks and fireworks to close the evening with a bang. If your lucky duck doesn’t wield you the $10,000, don’t worry said Bob Mackey, CEO & President of BGCNCG, there are other great opportunities at stake. Mackey said this event is way for the community at large to provide bright futures in a big way to Boys & Girls Clubs of North Central Georgia. Our sponsors for this event have helped make this event possible, said Mackey. For more information about Duck Derby visit www.bgcncg.com/duckderby.